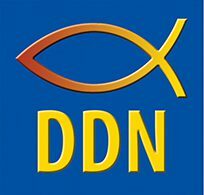 At the heart and soul of Digital Disciple Network is our desire to train ministers to use technology in creative ways especially in the areas of evangelization, faith formation, and communication through social media. Often ministers would love to take our classes, but are limited in their funding resources for this type of formative training. Our goal is to raise funds for those who do not have the resources they need to gain the skills they need in today’s Digital World. As Henry Nouwen states: In fundraising we discover that we are all poor and that we are all rich, and in ministering to each other—each from the riches that he/she possesses—we work together to build the Kingdom, the Kingdom of God. The purpose of fundraising is to ensure that we have the resources necessary to support the talented ministers who are sharing their training skills to assist ministers to learn how to use technology in their ministries. We have learned while doing the Digital Discipleship Boot Camp training, that once a minister is comfortable and has gained technology skills, they creatively adapt what they have learned to communicate more effectively with others in digital ways. They truly become Digital Disciples. Because we believe that nothing we do is ever done alone, we invite you to support our mission by becoming our companions. It is our fervent hope and prayer that you will embrace this invitation to journey with us as our friends in this evolving Digital World. Like St. Francis who used the Christmas Creche to communicate the story of the Birth of Christ to his friends, we are ones to use digital media to communicate the friendship of Christ to others in new media ways. We want to enhance our many personal skills we have gained in ministry with digital communication skills that are needed in today’s evolving Digital World. All contributions are tax-deductible as provide by law. For additional information about gift opportunities, please contact us. Digital Disciple Network relies on the generous support of donors who want to support ministers in their journey to gain the 21st Century Skills needed in a Digital World. As the first organization to focus on creating a network of trainers for today’s ministers, we are delighted to share our evolving story with you. We are grateful to our trainers who spend many hours in serving the ministry community with the webinars and courses that are needed to develop a Digital Disciple. Read our 2018 Annual Report (coming soon) to become aware of how our mission makes a difference in the ministry lives of our training participants.